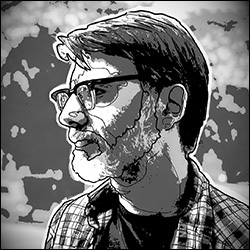 Tom Pappalardo is a graphic designer, writer, and musician. He has published three books (an illustrated novel, a comic collection, and a collection of essays). He lives in a manky old house in western Massachusetts with a little cat named Charlie. Visit him online at www.tompappalardo.com.